EZ VPS Connector | Dentazon Corp. The EZ VPS Connector connects two 50ml 1:1 impression material cartridges together so that they can be consolidated into one cartridge to use all leftover material. 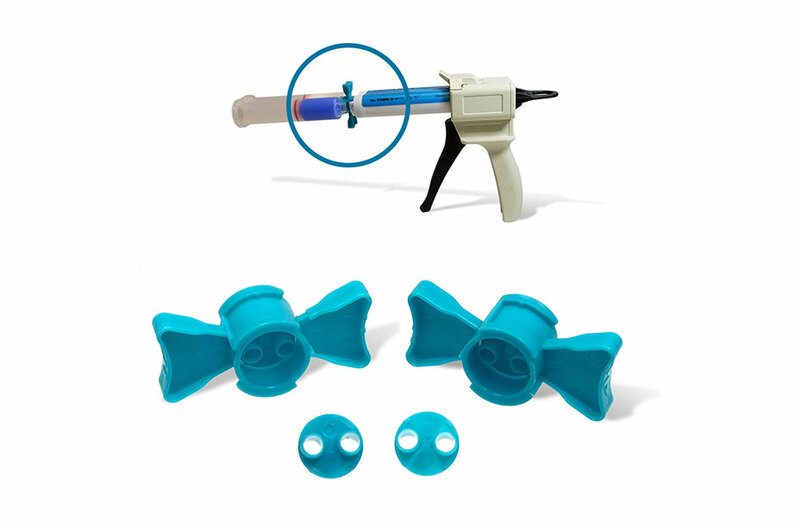 Consisting of two pieces, a disposable transfer connector and a reusable ribbon holder, the connector securely attaches to each cartridge for fast, easy, transfer of material. Reduces wasted material and saves cost and storage space.